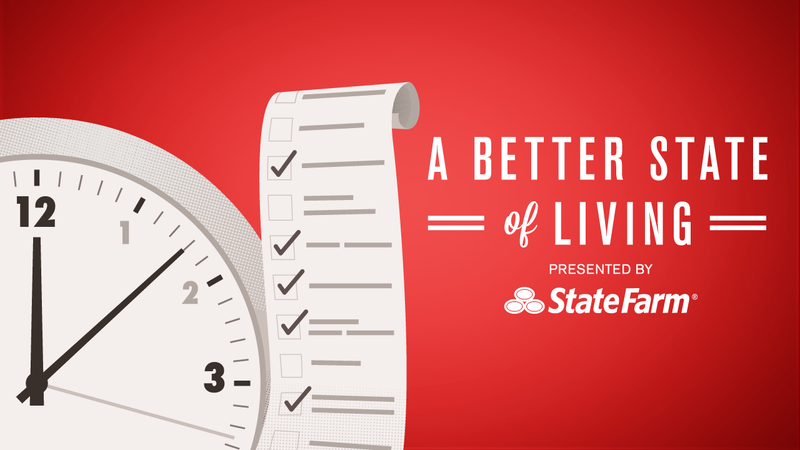 Lifehacker's Better State of Living Conversation series is brought to you with the support of State FarmTM. Today, time management ninja Craig Jarrow is live in the comments to answer all your questions about keeping your life hacked and on track. We all want to get more done, but we only have so much time in the day. Wouldn't it be great if you could do more in less time? With a few simple life hacks, you can get things done easier and more effectively, leaving time to enjoy the things you love. I'm here today to offer some simple hacks to get tasks done — or to circumvent the traditional rules — all in the name of personal productivity. Always put things in the same place. An elementary tactic is to have a "home" for frequently misplaced items. Then, you always know where they are. For example, always put your car keys and parking stubs in the same location when traveling. No more searching when you return home. Make appointments for your tough tasks. When you think of tasks, you probably think of your to-do list. However, if you want to ensure that you have time for an important to-do, make an appointment with it and block it on your calendar. Save solutions for the future. Inevitably, you find yourself solving a problem that you've previously dealt with. To save time (and frustration), save solutions to problems so that you have the steps handy if you ever need to repeat them. Use checklists for simple tasks. Checklists reduce time and effort. For example, a travel pack list will allow you to pack in half the time and avoid forgetting anything. Use visual cues. Put an item or notice in a special spot where it will remind you of an action item. A great example is to put a sticker on the gas cap of your car to remind you to empty trash from your vehicle while pumping gas. What areas of your life do you need to hack to get more done with less effort? Join me in the comments below, and let's get to a better state of productivity!